What the F is Fausto? Lots of black and white haha. 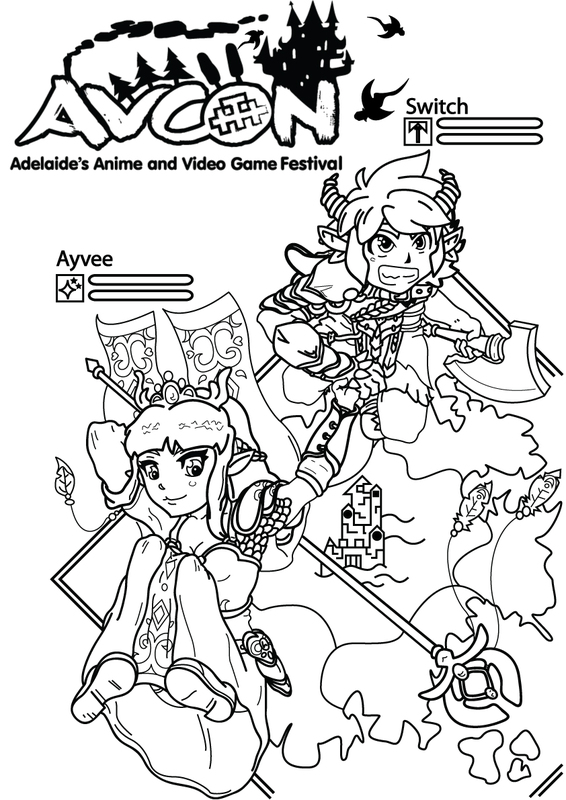 I didn’t win the AVCON competition but I am still very happy with the picture and how the chibi version of the characters turned out. The family portrait was done for a client of mine who want the story of her family told in a fairytale with portraits of her and her husband and their three kids. 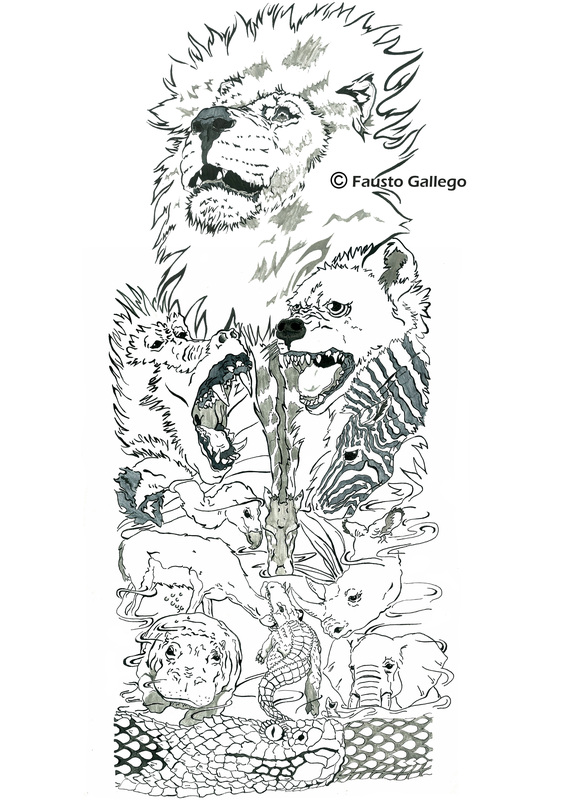 It turned out really well and was a very large commission, the scan is small but it was about 1.5 meters long. I’ve still got a few more to do. Currently I am working on doing some beer labels for a new start up craft brewery called 4Star Brewery (https://www.facebook.com/4starbrewery). It’s going to be a very fun and long term project so I’ll be posting up progress pics as I go. I am also working on some personal projects that will be uploaded soon. Hopefully in the next month or so. One project is a series of pictures (20 in total) and will be one of our main print series that will be available online to purchase and at markets. 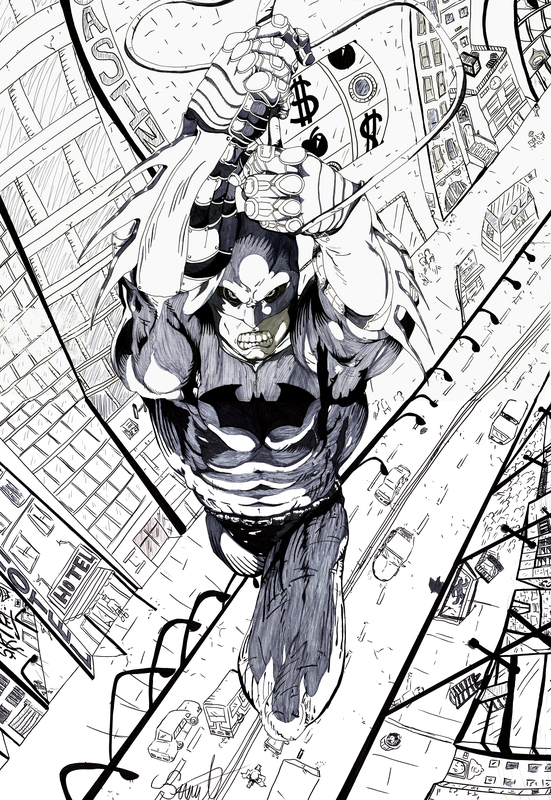 We’re also hoping to display it in SuperGraph next year (*fingers crossed*). So lots of things happening 🙂 I will be MIA for a little while but hopefully I can share more stuff with you guys soon.